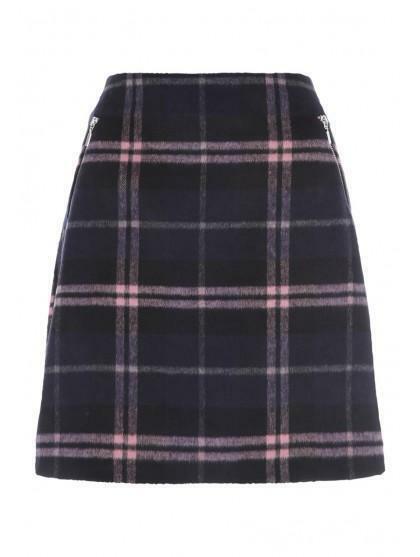 Update your workwear wardrobe with a stylish and flattering skirt. 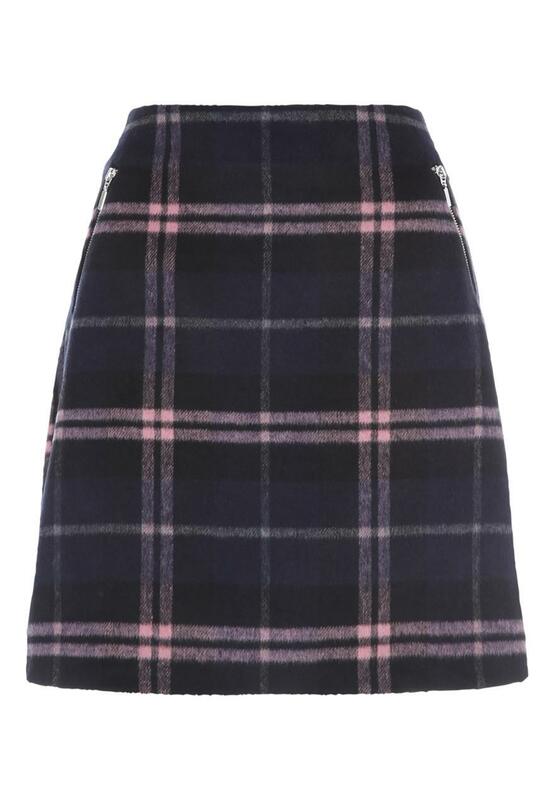 This a-line skirt features an all over navy and pink check pattern and has a hidden zip fastening. Wear with a white blouse, black tights and a pair of court heels for a office-appropriate look.